Eyewitness Palestine delegates Shakeel S., Emily B., Ossama K., Zahra B., Rae A., Ariel V., Lynn G. and others took part in the Love Knows No Borders mass mobilization on Monday, along the Tijuana/San Diego Border. 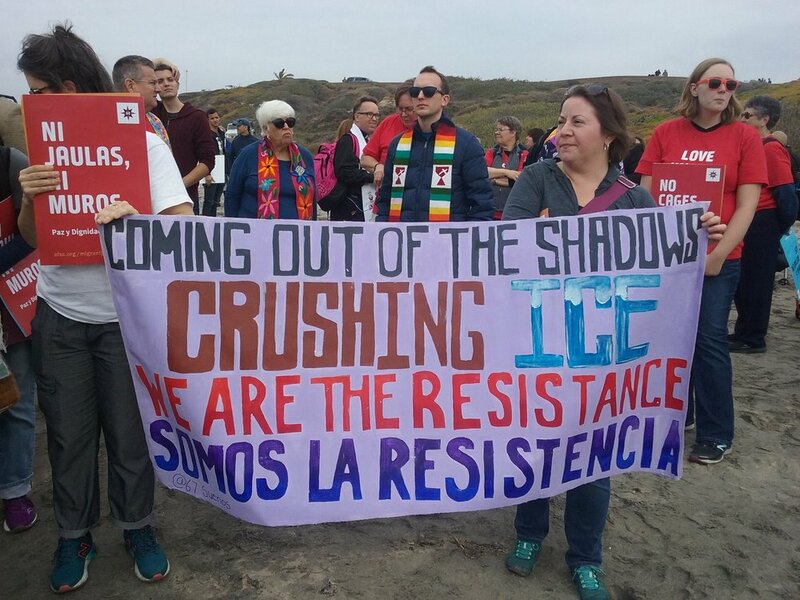 They were part of 100s of clergy and faith leaders who reaffirmed the rights of migrants to seek asylum, called for the defunding of ICE and the demilitarization of border towns. We are inspired by our delegates!! Spread the call for Migrant Justice. Pictures from the Associated Press.